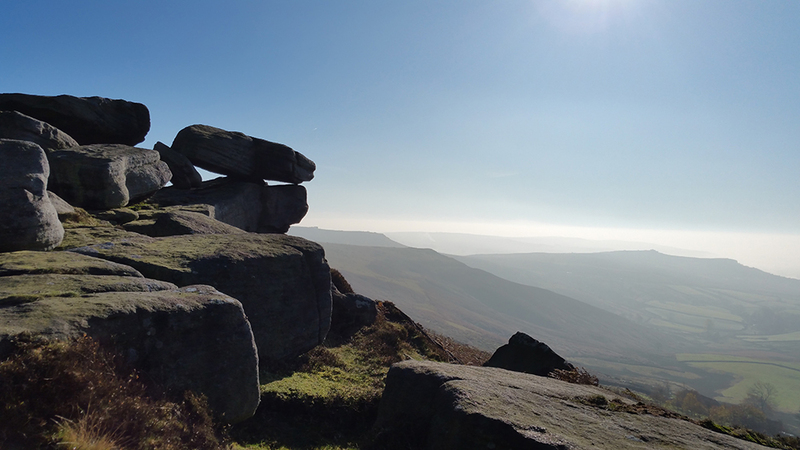 All the projects in Beginner’s Guide to Sewing With Knitted Fabrics are named after one of my favourite places – the Peak District – a glorious national park full of the hills of the Penines, just outside Sheffield. and so it made sense to name the first project in Beginner’s Guide to Sewing With Knitted Fabrics – the Peak T-Shirt – a round neck, loose fitting t-shirt with lots of variations (see below). 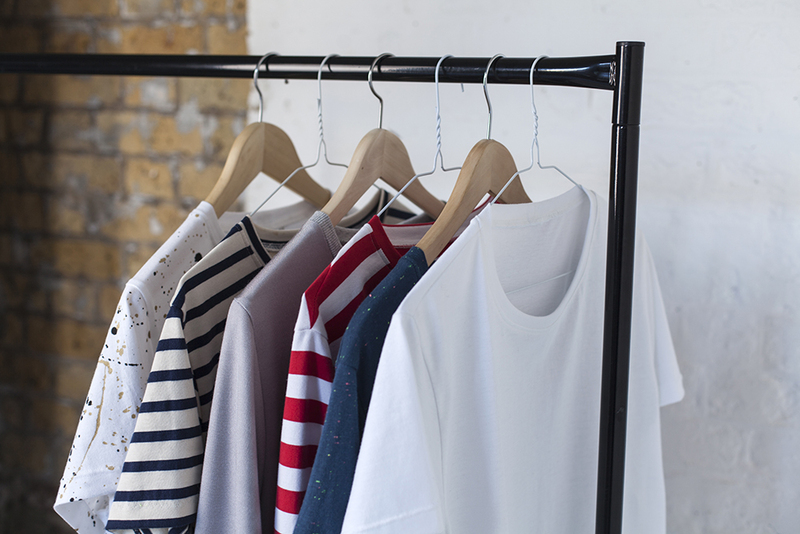 If you’re going to sew with knitted fabrics, a t-shirt is a bit of a no-brainer for your list. If you haven’t sewn with knits before, I don’t recommend starting on this project, but once you’ve had a go at a couple of the other projects you’ll be fine. add a shirred detail to any of your t-shirts to add shape and texture. The 1st Peak T-shirt development toile. My full length Peak T-shirt dress/nightie! My hand painted Peak T-shirt dress. A sweatshirt version of the Peak T-shirt. 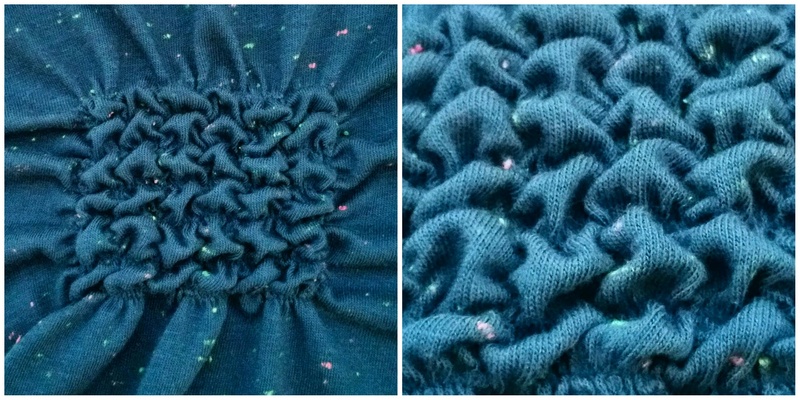 Shirring detail on one of my t-shirt samples. by the 1990s, the t-shirt was being used as a vehicle to drive awareness of sweatshop produced clothing and to encourage the use of organic cotton. This entry was posted in Beginner's Guide to Sewing With Knitted Fabrics, Books by Wendy and tagged a beginners guide to sewing with knitted fabrics, Beginner's Guide to Sewing With Knitted Fabrics, beginners guide to sewing knits, beginners guide to sewing knitted fabrics, history of sewing knits, how to make a t-shirt, how to sew jersey, how to sew jersey fabric, how to sew knit fabric, how to sew stretch fabric, Peak t-shirt, Sewing With Knits, sewing with stretch, stretch yourself, t-shirt pattern, Wendy Ward. Bookmark the permalink.